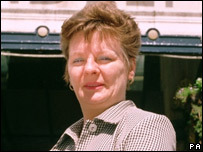 Manager Eileen Downey said it is a "busy hotel"
A hotel which featured in a BBC docu-soap in the 1990s has defended itself after it was revealed as a burglary hotspot. Crime figures from May 2005 to May 2006 show four out of five room burglaries in Liverpool hotels happened at the Adelphi in Ranelagh Place. But hotel bosses insisted the figure reflected its status as the largest hotel in the city. "It is a very, very busy hotel," manager Eileen Downey said. The broadcast of the BBC fly on the wall series "Hotel" in 1997 turned it into a national institution. 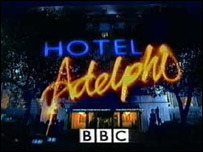 The series was one of the first reality television programmes and followed the day-to-day management of the Adelphi and the lives of the staff. Police now believe management at the Adelphi have failed to take crime prevention advice. Ms Downey refused to comment on claims that she had ignored pointers on security. "We are four times as large as any other hotel in the city," she said. "It is no different here than any other hotel in the city. "We do functions for up to 1,000 people on a regular basis." Dave Antrobus, Liverpool City Council's executive member for community safety, said: "During the past five years the Adelphi has had more room burglaries than most city centre hotels put together. "It is time to say enough is enough. The Adelphi has a large number of rooms but the high number of room burglaries at this hotel is a real cause for concern. "Liverpool is a safe city but the apparent lack of adequate security at the Adelphi is adversely affecting our crime figures."